Have you ever dreamed of running your own B&B or guest accommodation (our content executive dreams of one day owning a glamping tepee village) or fancy earning a bit of extra money? Now you can, by turning your garden shed or garden building into a ‘shedcation’ spot. ‘Shedcations’ have gotten really popular in the UK and abroad with lots of sheddies offering their luxury sheds as unique holiday accommodation where your stay becomes part of your holiday adventure. A lot of 'Shed of the Year' entrants for the past few years have been promoting their unique spaces has guest accommodation. You can go on a ‘shedcation’ for roughly £40-£100 per night in the UK. In this blog we talk about how you can create your own ‘shedcation’ spot and you can become a sheddie host. 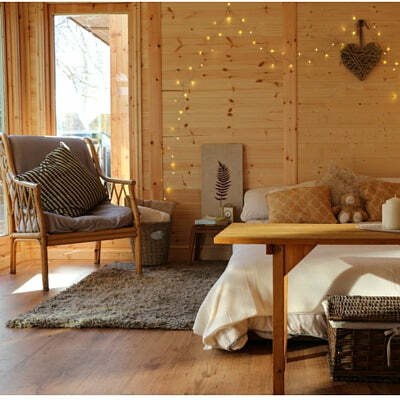 If you already have an existing garden building such as a log cabin, summerhouse or large garden shed which you no longer use, here is how you can turn it into a glamping spot. 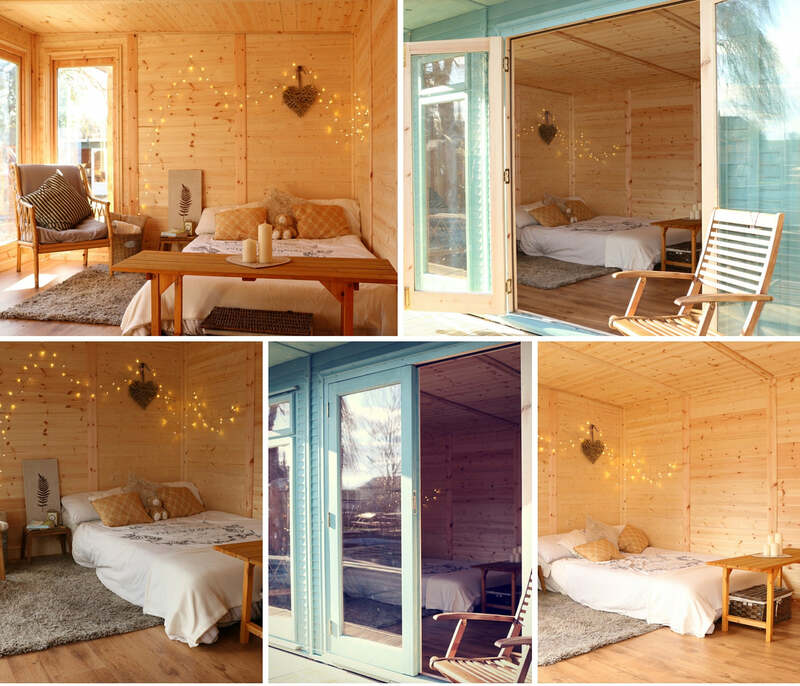 In the photo below, we created a shedcation retreat using one of our insulated garden rooms. We created the bed base using reclaimed palettes and dressed it with bits and bobs that we had collected. The lights are solar powered fairy lights and we included an armchair for a place to relax. There are wicker baskets for storage for guests to use and lots of cushions and blankets for guest to keep warm in the chilly months. In order to find out how suitable your garden building is, you’ll need to give it a good clear out and a good clean. Now that the building is clear take a look at the roof, floor and windows to see if they need any repairs. If you need help fixing your garden building, take a look at our maintenance guide here. Once you have completed this step, you can move on to planning your space. The easiest way to plan the space is to think ‘glamping’ the basic space will need a sleeping area, living / dining area, and access to somewhere where you can shower and use a toilet. You may even want to create an outside area too but we will come to that later. Figuring out a toilet and shower can be tricky, we had a search on AirBNB to see how other shedcation hosts did it. Some of the shedcation hosts simply offered guest access to their house where they could use a guest bathroom. One sheddie who owns "Hay Brow"unique, hand-built chalet(you can find the listing here on Airbnb) they have set up a guest portaloo and a touring caravan for a shower and kitchenette. If you have lots of space and would like to have frequent guests then this may be an option but would require investment which is worth considering. 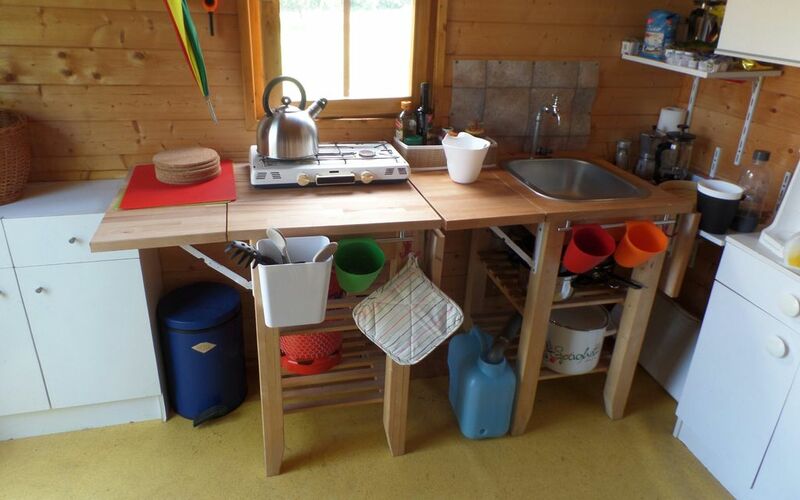 Most glamping is self catering, what you could so is provide a gas cooking stove, basic kitchen equipment and cool boxes in kitchen / dining / living section of the garden building. Or similar to the bathroom, you can give access to your kitchen for guests. You could provide bottles of water for guest to use in their room and tea making facilities. If you are a keen cook you could also offer a bed and breakfast service, some glamping site offer full food service including lunch and dinner but this is entirely up to preference. Firstly you need to insulate your garden building there are a few ways to do this so take a look at our insulation guides here. 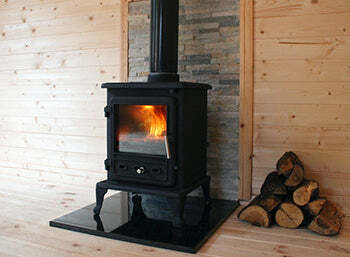 The best way to provide heat for your garden building is a log burner. They are economical and all you need to provide is firewood. The log burner could also become quite a nice novelty feature guests. For more help on heating a garden building check out our guide here. One word... Solar! Solar lights are perfect for glamping as they are pretty much free to run and lights such as festoon fairy lights and patio lights can create a beautiful atmosphere. Most campers will be happy to be without electricity however if you wanted to add sockets for phones etc you could add solar panels to your garden building. You can find out more about adding solar panels to a garden building here. Ultimately camping is all about ‘becoming at one with nature’ so keep your guests happy by providing an outdoor area where they can spend time during the day. You could add a veranda to the building to provide a sheltered space. 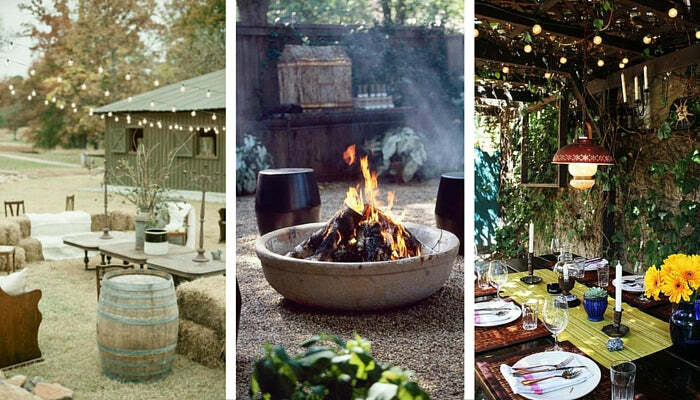 If you have enough room why not create a fire pit that guests can gather round in the evenings? You could also provide a BBQ dining area for guests to enjoy in the summer. If you are in the market for a specific ‘shedcation’ building then here are some tips on what to look out for. Ideally for a guest accommodation you want a robust building, with thick cladding, and double glazed windows. Garden buildings with this criteria are either a log cabin or an insulated garden room. Our insulated garden rooms are 100% customisable as they are modular. You could create a building with separate rooms if you wanted to. You can choose what type of finish is used on the garden room whether it’s painted or with a modern cedar-style finish. Planning permission can be a little confusing and it often changes per council. This is an ideas and inspiration article and we suggest seeking advice from the planning portal and your local council before making changes to your garden building. You can access the planning portal here. We hope that you enjoyed reading our guide on turning a shed or garden building into a glamping retreat. If you found it helpful or would like to share your won tips, let us know in the comments below.